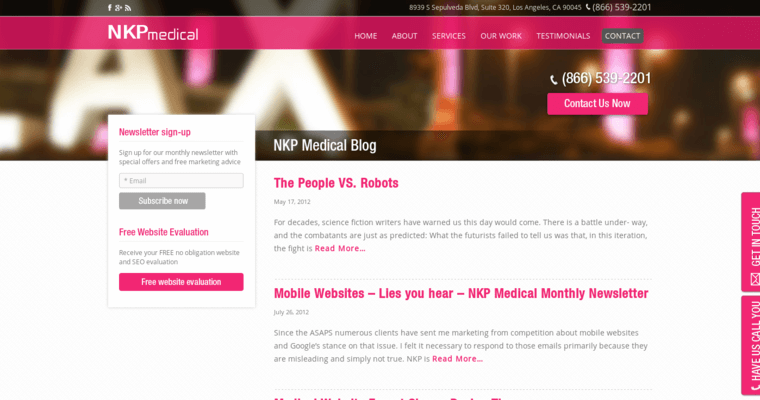 NKP Medical offers marketing services to businesses and facilities in the medical field. In particular, the company offers these services to cosmetic surgery and general surgery practices. NKP provides services for multiple phrases of their clients' online presence and interactions with the public. These services include website design and development, including responsive website designs. The company also offers marketing strategies including search engine optimization, pay per click advertising campaign development, and reputation management. More specifically targeting the medical field, the company also works with patient referral websites and creating treatment planners for their clients' websites to ensure their client's patients can learn more about the treatments available to them. 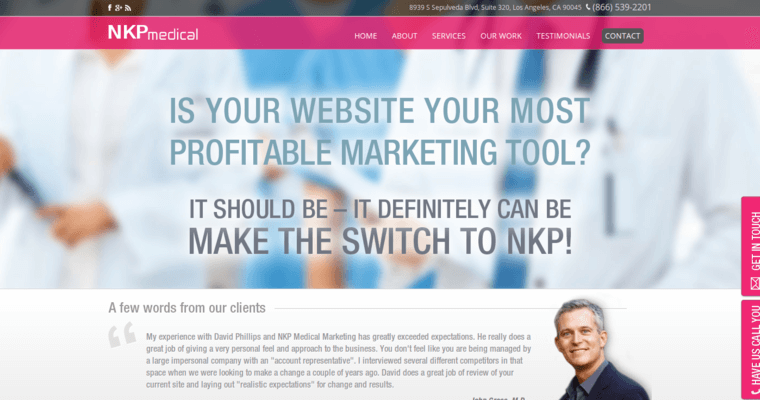 NKP also offers consulting services to help clients manage their promotional campaigns so that surgeons can focus on the day-to-day operation of their practices.